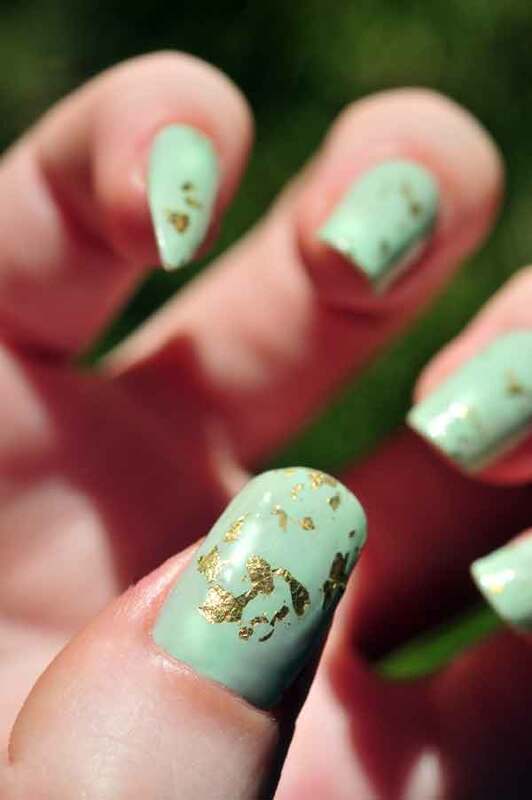 Everyone seems to be obsessed with nail polish right now. Though it is great that you can find any color of the rainbow in the cosmetics aisle, getting every color that you want is pretty expensive - especially when precious metals are involved. 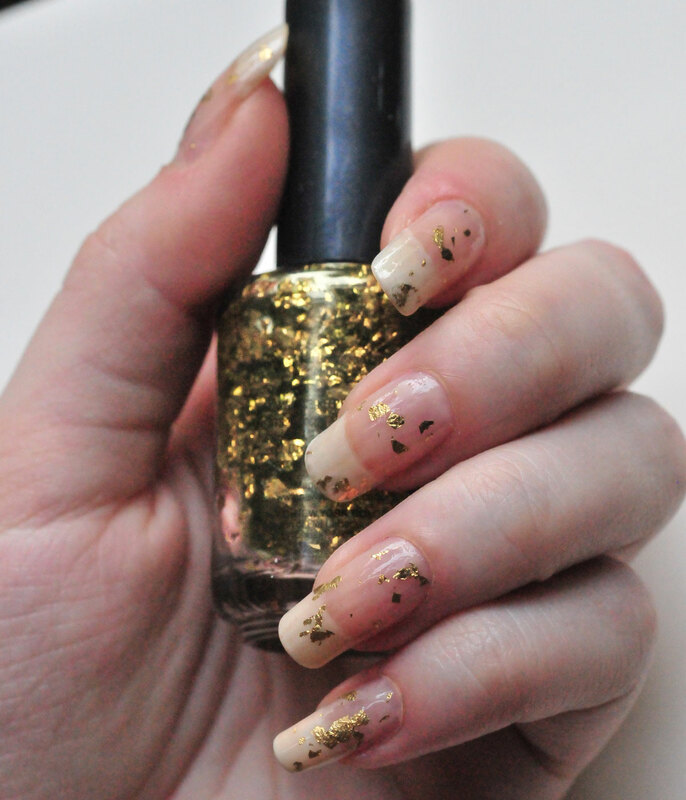 This is an easy recipe for gold flake polish which uses actual gold bits. The texture is more organic in shape, size, and distribution because the metal is irregularly cut by hand. 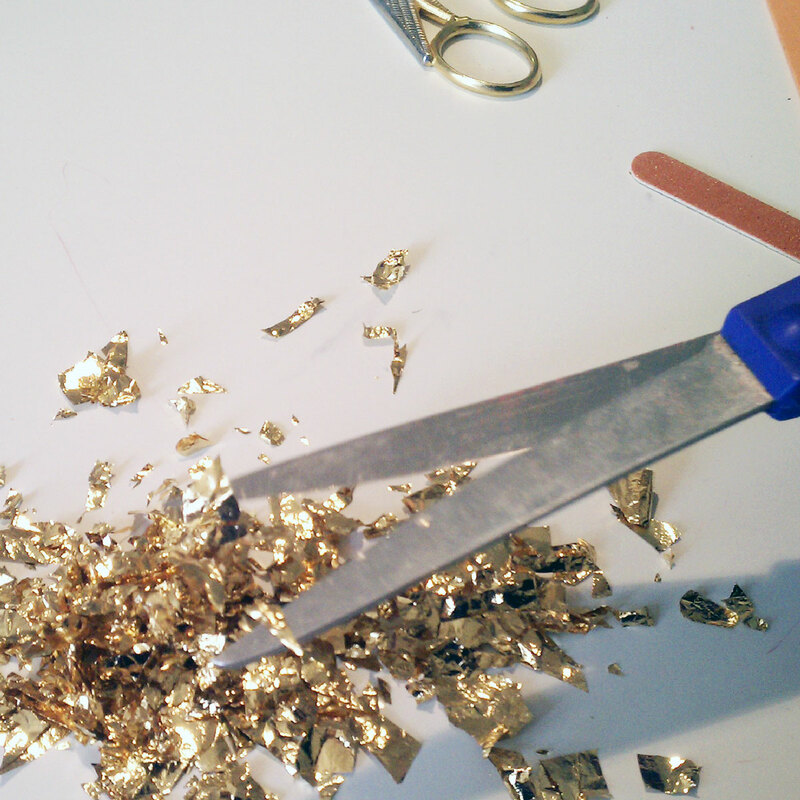 You can find gold leaf in most art supply or craft stores. There are also less expensive metals available, but they may oxidize over time and alter the color and consistency of the clear base polish. Think of what happens to the color of your finger when you wear a cheap ring. 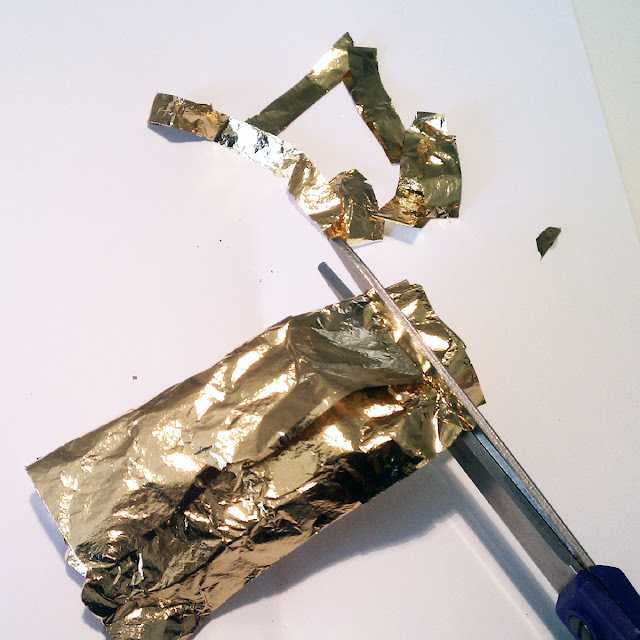 Put a piece of printer paper on your work surface and lay out a sheet of the gold leaf. 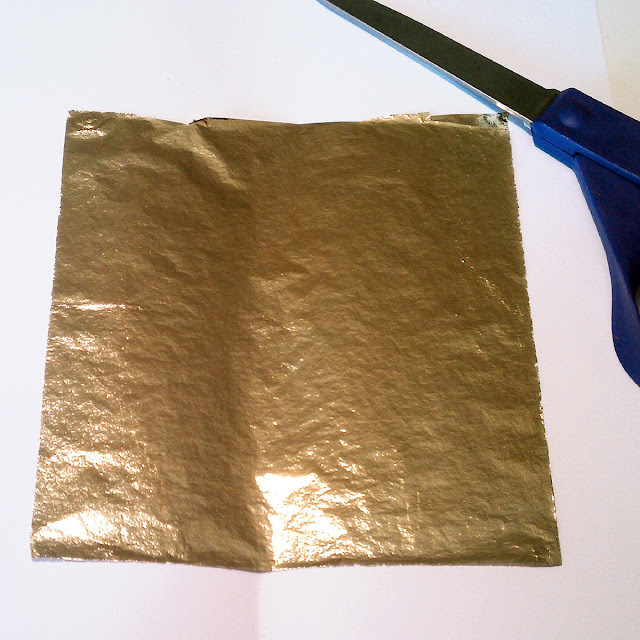 Gently fold the sheet of gold leaf into a roll and chiffonade (cut into strips) the metal with a pair of sharp scissors. If you have trouble with the gold sticking to your fingers, wash and dry your hands or wear a pair of cloth gloves. Place your funnel on top of your nail polish bottle. Mine was able to balance/stick on top of the polish bottle. 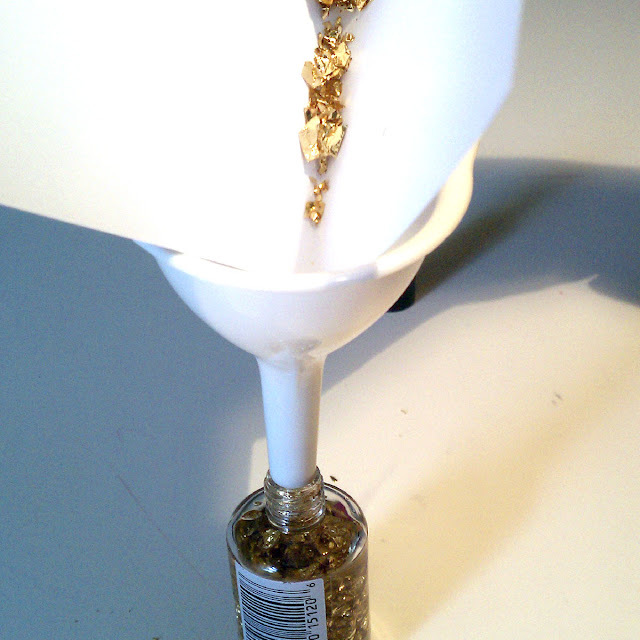 Pick up the printer paper and fold it in half, gathering the gold into a stream in the center. pour the flakes into the funnel. Some of them may not go down, you can use a toothpick to help push everything in. Ready to use plain or layered. 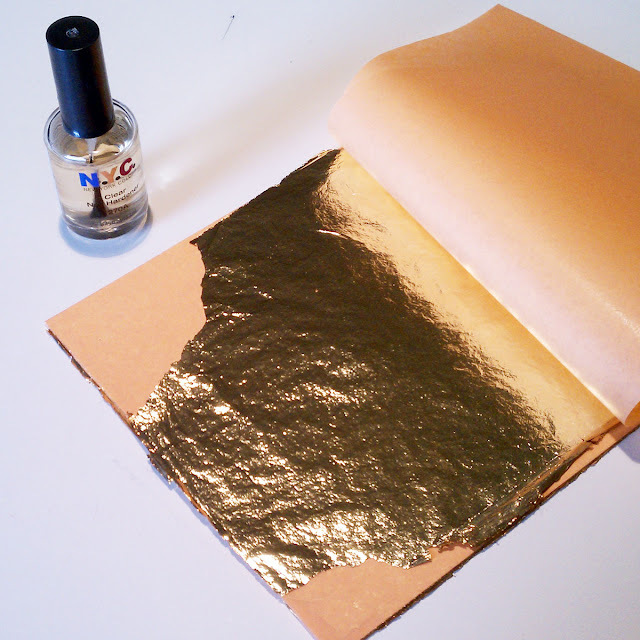 What kind of gold leaf did you use? Is there a certain karat amount that is best to use?? 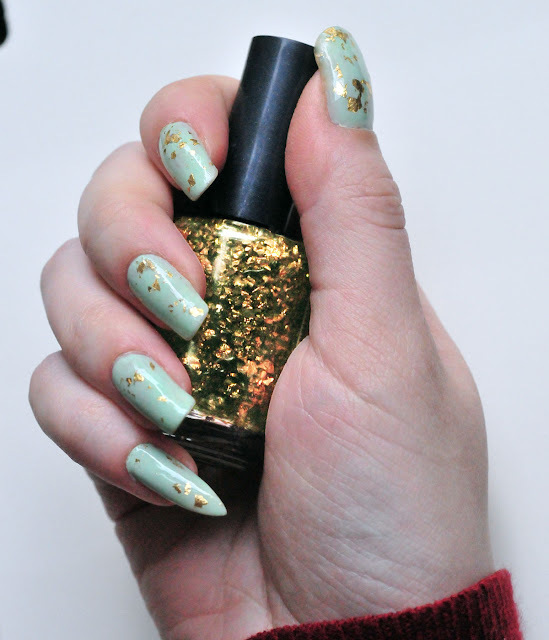 I tried making this recently but it oxidized overnight and left the clear nailpolish a nice shade of teal, lol… not really what I had in mind. You have to use gold leaf, not something labeled as composition or imitation gold leaf, some brands use tricky wording.